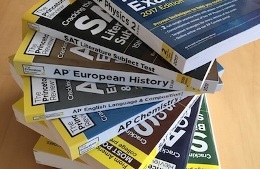 Home » Blog » Does the New SAT have an Experimental section? Does the New SAT have an Experimental section? The COLLEGE BOARD revamped the SAT and apparently made it easier for students to score better or at least tackle the test without the dreaded vocabulary blues that used to beset students who took the old SAT. The Experimental section on the SAT continues, however. This need not be a matter of concern since experimental sections in the past were not scored much to the relief of the students. The only challenge was how to recognize the experimental section since the said section was not prefaced as experimental as it is done on the ACT. To explain further – operational items refer to questions that count to the scores while pre-test items refer to not scored items and therefore don’t matter. Does this mean that the 20 minutes section coming at the end of the test is the experimental section? Does it mean that the students who take the test with the essay do not get an experimental section? Is this being fair? In August 2017, the first summertime administration of the SAT, the experimental section raised its ugly head once again! Students were virulent in the posting of memes about this unwelcome visitor on the test. Students who opted not to do the essay got a fifth, 20-minute section added to the test and all the pretest questions must have been there. If the pretest questions were not all there, in section 5, then they would be deeply unfair. It is, however, yet to be known whether all students who took this privileged August administration of the SAT (without essay) were served the experimental section! But what is certain is that there is an experimental section on the new SAT! !